"Crayons Address Labels" product is already in your cart. Save your quality time. Instead of manually adding the company identification detail to your mails or envelopes, use address labels. They are self adhesive products that can be used as a personal identification tool in different books, videos, envelopes or tapes. 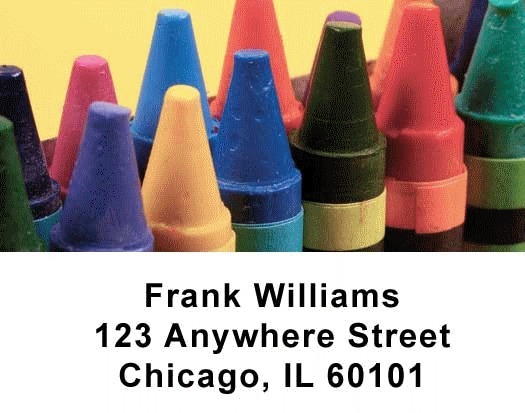 If you love colors and you want to make your address labels much exciting and appealing than that of the basic simple variety, you can buy crayons address labels. These varieties are original sequence of address labels from the product series that convey the child and adolescent outlook to everyone. You can order them at overtly low prices and you can buy suitable personal checks that would match well with the crayons address labels.